AnimSchool debuts for Spring Term! Hello! January was just too close to our later-than-expected launch. We have decided to move the first term at AnimSchool to Spring. So we are now taking applications for the first week of April. We will be spending the time putting together an amazing student experience! There you have it! AnimSchool. 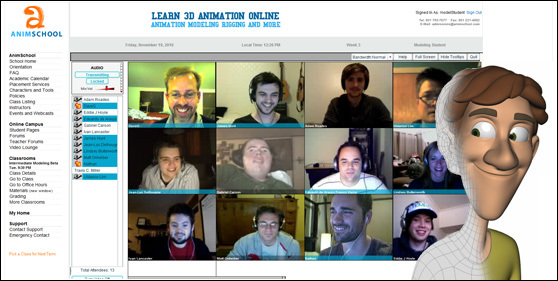 The new online school for animation, modeling, and rigging. Today, we contended with gale-force winds here in the New York area. So a remote-working web designer faced flooding problems today and set us back a bit. We are so close! The site is looking great. Hi all! We're launching AnimSchool today!